Action from the Concacaf Nations League match between Jamaica's Reggae Boyz and the Cayman Islands at the National Stadium in Kingston on Sunday, September 9, 2018. (PHOTOS: Marlon Reid). 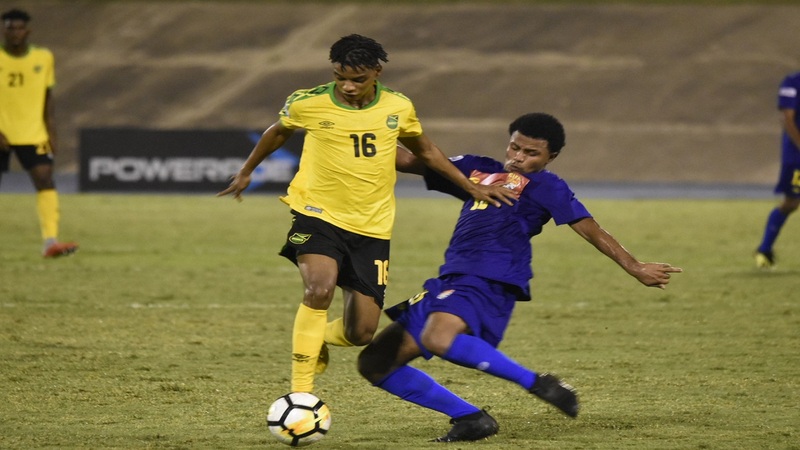 Jamaica defeated the Cayman Islands 4-0 on matchday four of the inaugural Concacaf Nations League (CNL) at the National Stadium in Kingston on Sunday night. It was the opening game in the qualifying phase for both countries. The Reggae Boyz dominated their Caribbean neighbours for most of the match and should have won by a much wider margin, had they converted the many opportunities created. 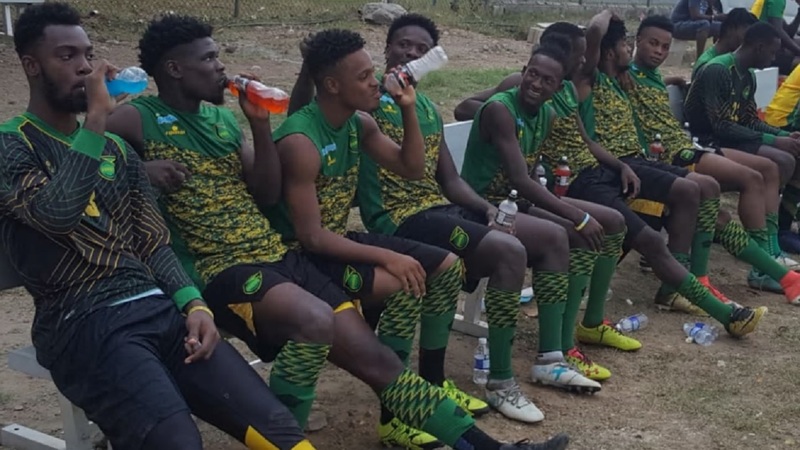 The Jamaicans, however, secured victory through two goals apiece from Darren Mattocks in the second and 58th minutes and Cory Burke in the 35th and 66th. Mattocks gave the Reggae Boyz the lead with a well-taken header from a left-side cross from Owayne Gordon. Missed opportunities denied the Reggae Boyz from increasing their lead, with the best chance a ball being cleared off the line by Josewa Frederick, after a good build up had Mattocks facing goalkeeper Ramon Sealy, whom he lobbed. Burke provided the second inspiration when a good build up, which threaded Cayman Islands' defence and pulled goalkeeper Sealy out of position ended with the forward tapping into an unprotected goal. The Reggae Boyz continued to dominate before half time, but failed to increase the lead, with the best effort being a dipping header by Burke, that was tipped over the crossbar by Sealy. An Adrian Mariappa cross from the right had Mattocks out hustling his Cayman Islands markers to head past Sealy from inside the six-yard box for his second goal. 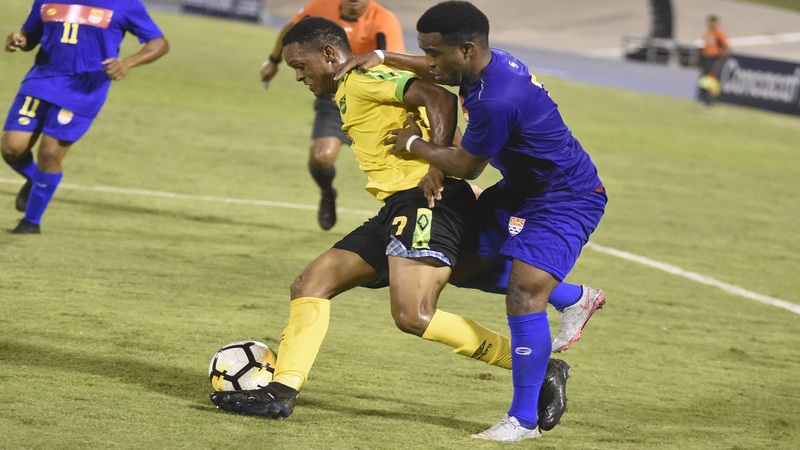 With the Reggae Boyz camping inside the Cayman Islands half, Burke got his second and Jamaica's fourth goal when he cheekily got the ball around a defender and out of the reach of the goalkeeper. 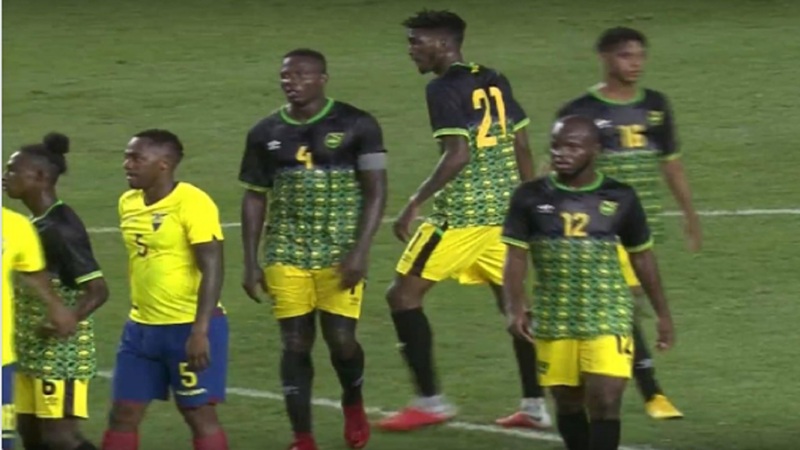 The victory came two days after the Reggae Boyz suffered a 2-0 defeat against Ecuador in a practice match inside New York Red Bull Arena in Harrison, New Jersey. In another CNL match, Canada could not have asked for a better start to their campaign with an 8-0 victory over the U.S. Virgin Islands. Lucas Daniel Cavallini (8’, 44’), Jonathan David (32’, 37’) and Cyle Larin (60’, 80’) all bagged braces, while Jonathan Osorio (6’) and David Hoilett (50’) also added scores in the decisive win over the islanders. Aruba also enjoyed a solid start with a 3-1 home victory versus Bermuda. Ronald Gomez struck in just the 7 minute and it was a quick 1-0 lead for the home side. Three minutes later the home fans were back on their feet celebrating a 2-0 advantage, as Raymond Baten converted a penalty following a takedown of Annuar Kock in the Bermuda area. But Bermuda showed plenty of fight and by the 21 st minute it was 2-1 after Jonte Smith scored on a loose ball in front of goal. Aruba would restore their two-goal advantage though through Eric Santos in the 50th minute to claim a 3-1 lead, which they held until the final whistle. Earlier in the day, the ever-improving Dominican Republic used a strong second-half to down Bonaire 5-0 thanks in part to Domingo Peralta’s hat-trick. Jamaica - the Caribbean number one team on the new Concacaf ranking index - will fly to Bonaire for a meeting with the tiny island on October 14, and are home to Suriname on November 17.